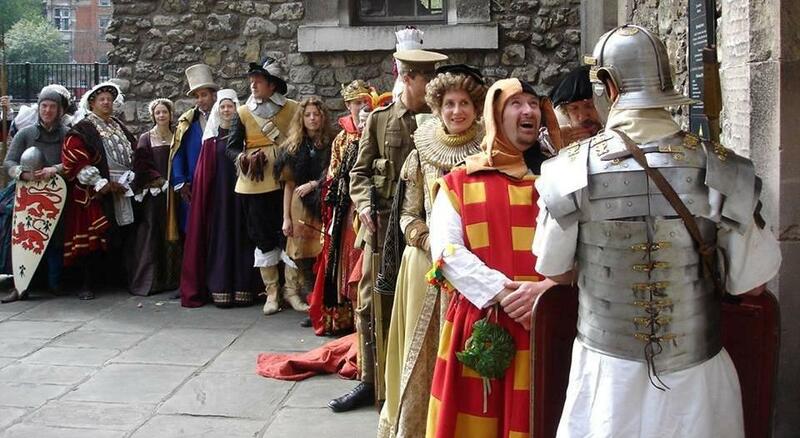 Just a heads up about some one day workshops on costumed interpretation that we are offering in collaboration with our pals from the Historic Royal Palaces and Past Pleasures, the UK’s longest running costumed interpretation company. These unique one day workshops are perfect for heritage professionals and volunteers who want to learn about managing and planning costumed interpretation from the experts. Chris Gidlow (Head of Live Interpretation HRP) will examine how heritage managers can be strategic about costumed interpretation. Through a series of talks and workshops Past Pleasures team Mark Wallis and Kate Howard will offer valuable tips and advice. They will assist participants as they engage with best practice and identify models and strategies which will work for them. This entry was posted in Interpretation and tagged costumed interpretation, Historic Costume, Historic Royal Palaces, Living History. Bookmark the permalink.